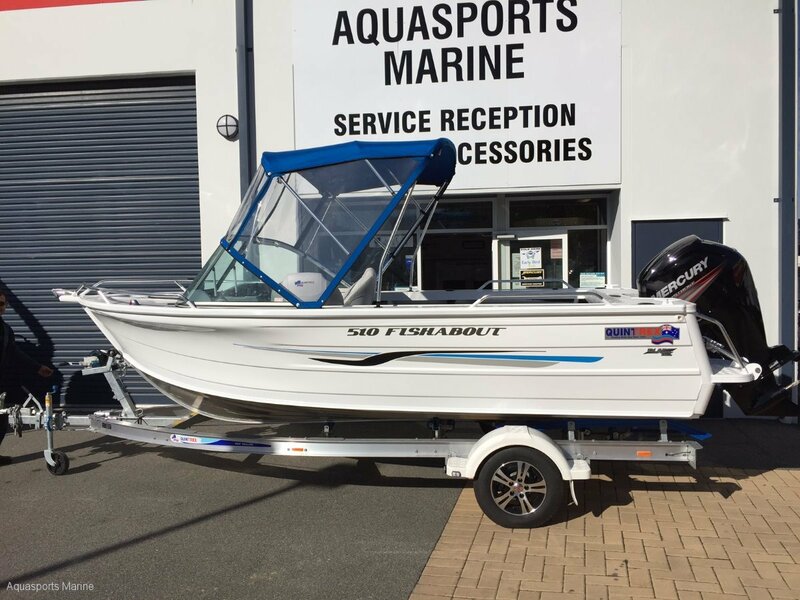 Brand New Quintrex 510 Fishabout - The versatile 510 Fishabout always performs with the new Blade Hull providing a smooth and stable ride every time. Plus with large, alloy side pockets there is plenty of storage aboard this Runabout. All of our packages include 12 months Boat and Trailer registrations with stamp duty paid - driveaway. Phone us for details, we won't be beaten on price or service! !